IF YOU ASK TIBETAN BUDDHISTS what sacred pilgrimages they hope to make, Samye will be one of them. In the eighth century A.D., Samye was where Buddhism first flourished in Tibet under the guidance of the great Indian Tantric master, Padmasambhava. It is the site of the first monastery in Tibet, built in the form of a three-dimensional mandala —a universal map pointing the pilgrim's way to spiritual enlightenment. The first generations of Tibetan monks were ordained at Samye. Academics from all over Asia came to Samye, transforming this spiritual hub into a translation academy unparalleled in history. 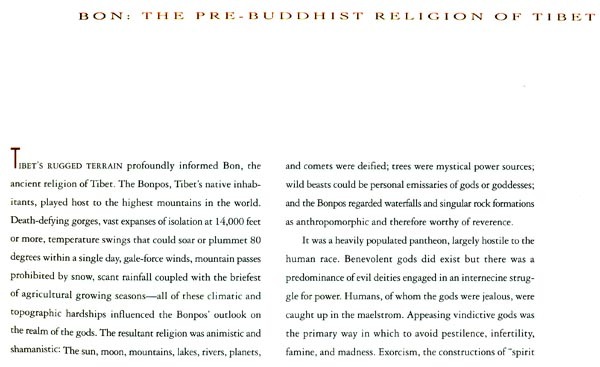 As you turn the pages of this book —filled with accounts of the early years of Tibetan Buddhism and interlaced with photographs of the Tibetans who still populate its sacred environs —you are invited to explore the vast potential of your own spiritual path, wherever that may lead you. Samye holds an immensely important place in Tibetan hearts and minds, because when it was founded by Padmasambhava and Shantarakshita from India in the year 770, it was the first Buddhist monastery in Tibet. Buddhism had already begun to spread in the "Land of Snow," but during Padmasambhava's stay it became firmly established. At this time the translation of Buddhist literature him. 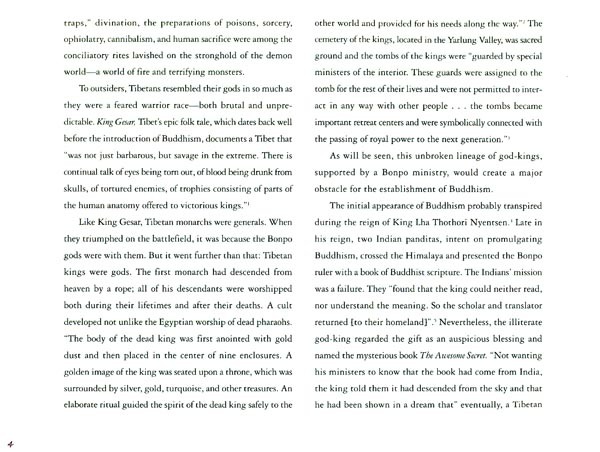 Sanskrit into Tibetan began, and a section of the monastery was given over to its pursuit. With the ordination of the first seven Tibetan monks at Samye, the monastic tradition so important to the flourishing of the practice and teachings of Buddhism began there, too. Thus, we consider Samye the place where the establishment of Buddhism in Tibet took firm root. MIKEL DUNHAM'S writing career is preceded by his success as an artist. In the 1980s and early 1990s, his box-assemblages and three-dimensional photographic collages were widely exhibited, including one-man shows in Europe, New York, and other major cities in the U.S. In 1989, Mr. Dunham made the first of many treks in the Himalaya, thus marking a turning point in his career. 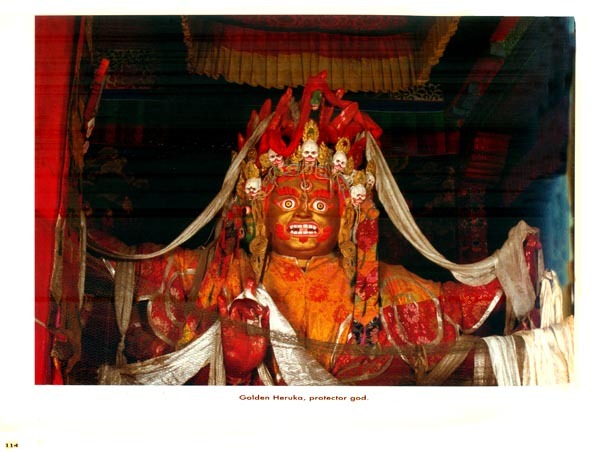 He became the last student of the late thankgha master, Pema Wangyal of Dolpo, spending years learning how to paint in the Tibetan manner with mineral pigments and 22 carat gold. This led to his commission to paint the murals for a newly-constructed Tibetan temple in Sarnath, India—one of the eight major pilgrimage sites for Buddhists. His Holiness the Dalai Lama consecrated the temple in Sarnath in 1997. 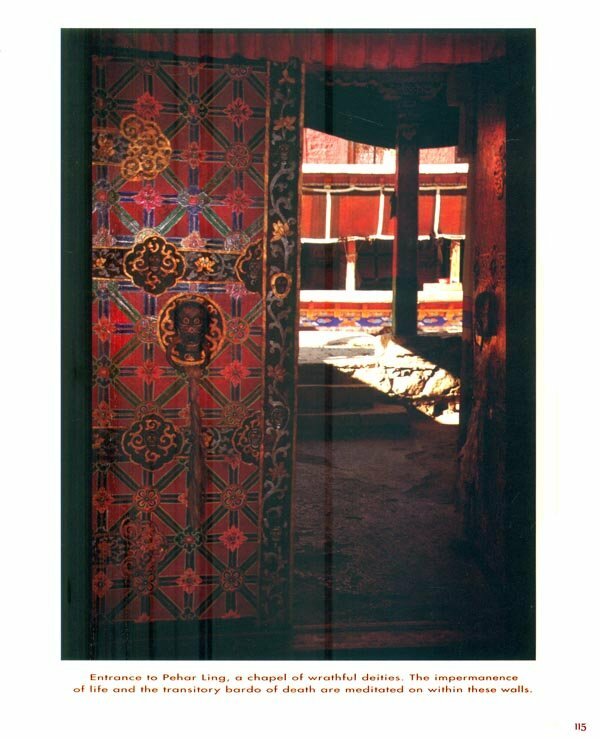 In 2000, Dunham was given full access to Samye to document its treasures, many of which have never before been photographed. Mikel Dunham resides in Santa Monica, California, with his wife Margaret. Samye holds an immensely important place in Tibetan hearts and minds, because, when it was founded by Padmasambhava and Santaraksita from India in the year 770, it was the first Buddhist monastery in Tibet Buddhism had already begun to spread in the Land of Snow, but during Padmasambhava's stay it became firmly established. At this time the translation of Buddhist literature from Sanskrit into Tibetan began, and a section of the monastery was given over to its pursuit. With the ordination of the first seven Tibetan monks at Samye, the monastic tradition so important to the flourishing of the practice and teachings of Buddhism began there too. 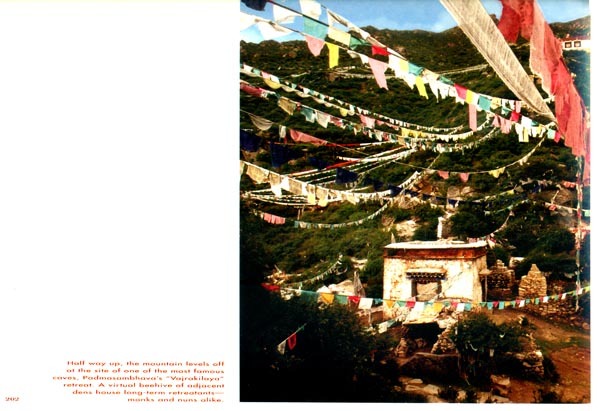 Thus, we consider Samye the place where the establishment of Buddhism in Tibet took firm root. In addition to representing the origin of a considerable legacy, even the buildings themselves are significant. On the one hand they are said to have been modelled on the plan of the great Odantapuri temple in India, on the other, being constructed in the form of a three-dimensional mandala, they represent the universe as it is described in Buddhist cosmology. Over the course of time they came to house marvellous collections of scriptures, paintings, statues and other religious images. When I was still in Tibet, I dearly wanted to visit Samye and see these wonders with my own eyes, but the opportunity never presented itself. The closest I came was when I crossed the Tsangpo (Brahmaputra) river nearby in a yak skin coracle during my escape in 1959. Sadly we were then in too much of a hurry to stop and pay our respects. After that, with the Chinese occupation of Tibet and the ensuing Cultural Revolution, Samye suffered substantial harm. The buildings were devastated, religious images were defaced, smashed or removed and great numbers of irreplaceable books were destroyed. The resident monks were expelled and their places were taken by cattle. Subsequently, enthusiastic renovation has taken place and Samye has been restored to something of its former splendour. Today, it is once more the focus of pilgrimage as people come from all over Tibet and abroad to pay tribute to the long tradition of teaching, practice and realisation that Samye continues to represent. 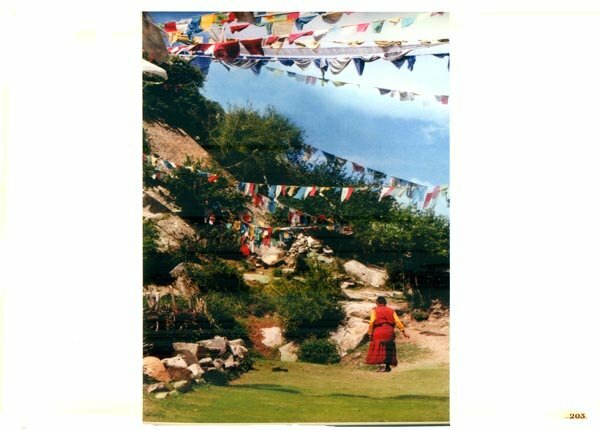 I welcome this book of photographs that seeks to convey the impression that Samye makes on pilgrims as they approach and make their way round the monastery. For those of us who are unable to go there ourselves, this is a valuable and moving substitute.